Photography and styling by Sita Hellerich, Opia Creative, and Meghan Flynn. All of my work is made by hand in Lincolnville, Maine. Having grown up in this small town just off the coast, I feel deeply rooted in my home. I draw inspiration from the rhythms of daily life, plants, animals, the surrounding hills, forests, and the sea. I tend to focus on small editions and sets. 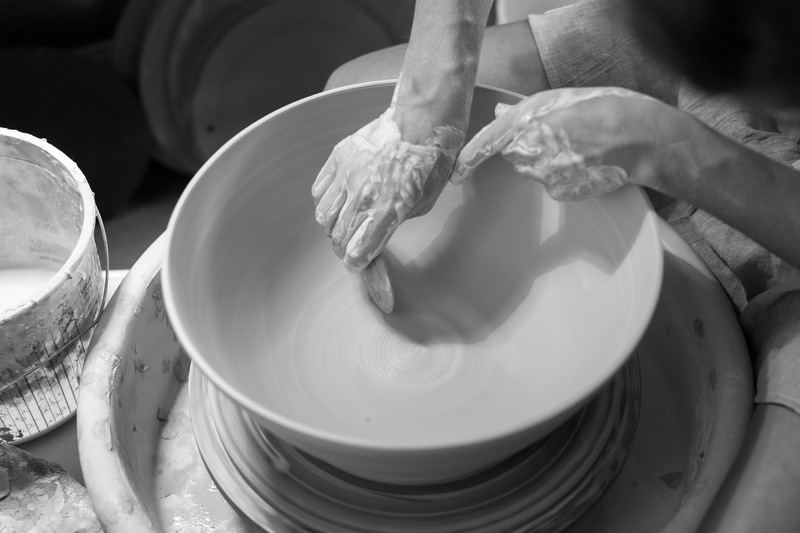 Whether thrown on the potters wheel or pinched from a lump of clay, each piece is carefully made by hand. At my studio I fire in an electric kiln using hand-mixed glazes. Twice a year, I fire about 100 pieces in Jody Johnstone's wood-fired anagama kiln in Swanville, ME. 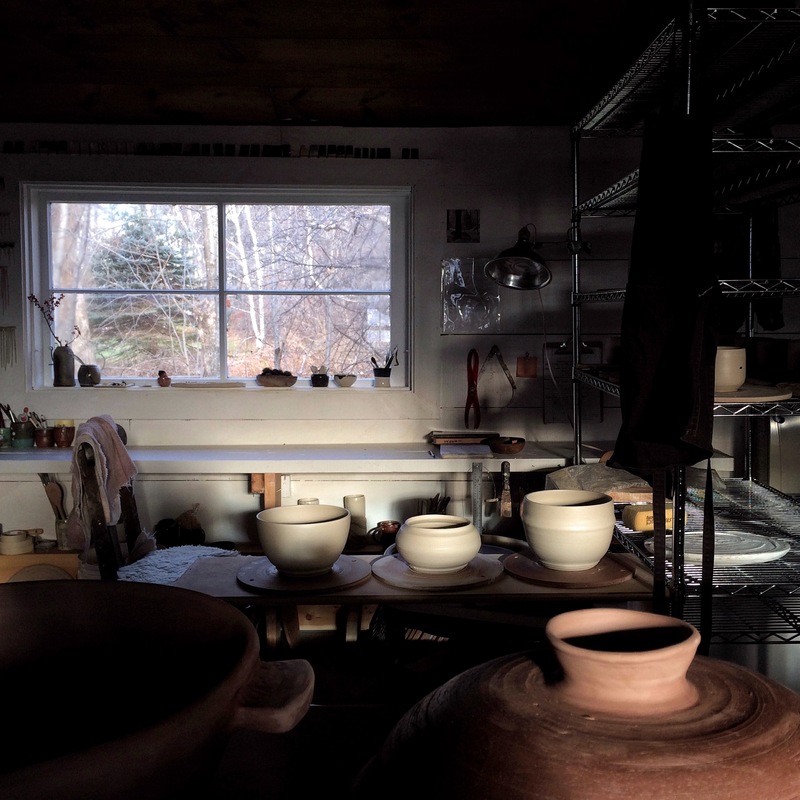 The wood-fired kiln holds nearly 1,000 pots and takes four days just to load. Once the kiln is loaded and the door is bricked up, we light the fire. It takes four people to fire the kiln. Using a mixture of hardwood and pine, we stoke the kiln around the clock for eight days. After a week of cooling, we unload our pots. The pieces are washed of ash and soot, then sanded and polished. No two pieces are ever exactly alike. 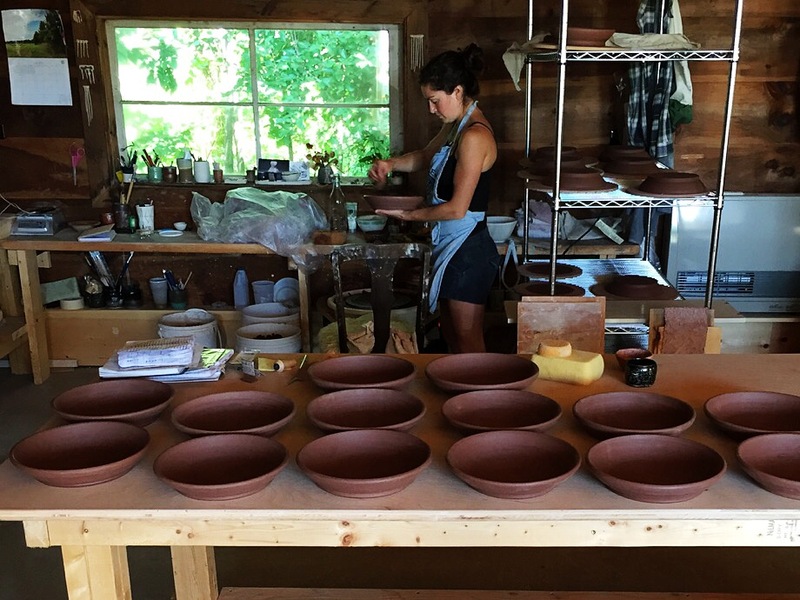 Handmade pottery elevates the experience of daily life. I hope you enjoy. All of my work is food and dishwasher-safe unless otherwise noted.